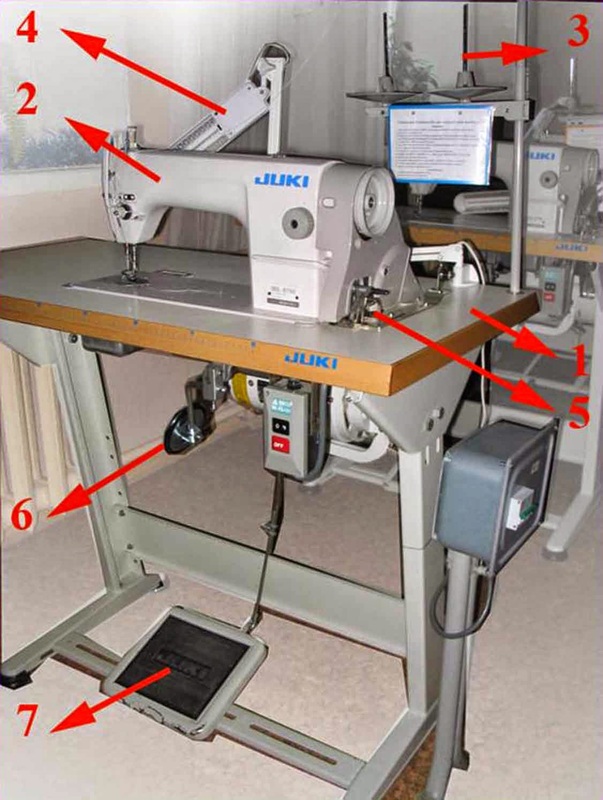 Industrial table 1 with individual electric drive fixed head sewing machine 2. On the smooth surface of the table lay the workpiece. On the table have bounderball 3 and the lamp 4. 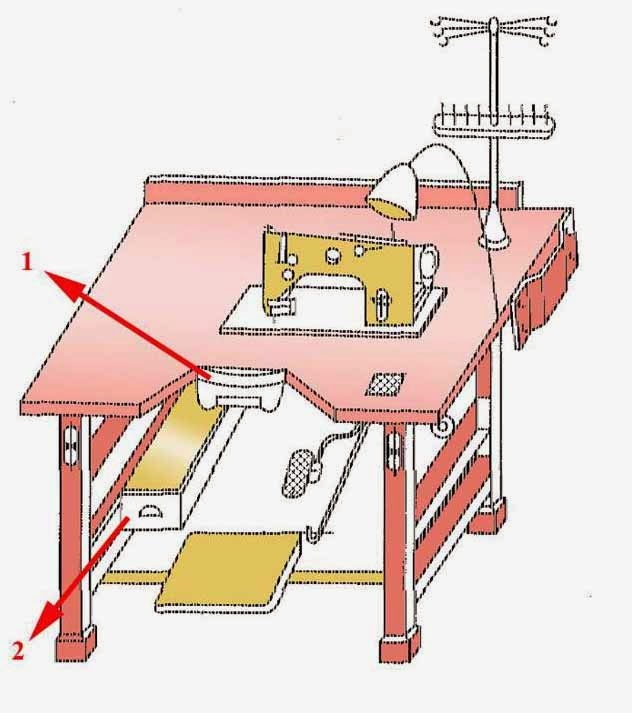 On the table may be mounted a device for winding thread on the bobbin 5. Under industrial table features a knee lever for lifting the presser foot of the machine 6 and the control pedal of the machine 7. Machinery working place can be equipped with a waste bin and 1 drawer for storage of tools and personal belongings 2 .